Lozzy Loves Lippy: April Beauty Favourites Ft. Makeup Revolution, Body Shop, Rimmel and more..
April Beauty Favourites Ft. Makeup Revolution, Body Shop, Rimmel and more..
Hi all, Can you believe that it's the end of April already? Spring seems to have well and truely sprung in the UK, the days are longer, there is slightly less rain and the sun shows it's face now and again- loving it! I have a few bits and pieces, some beauty some not, that I have been loving this month! Of course with the better weather coming in I tend to reach for my highlighty products more. 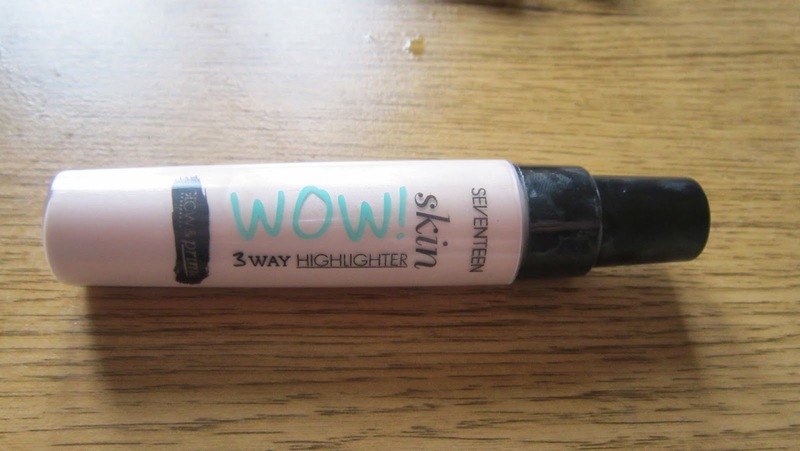 It's the Seventeen Skin wow 3 in 1 highlighter. You can use it under your foundation, mixed with it or as a liquid highlight. I have been using it mostly under and sometimes mixed with my foundation. It's a pinky toned pearlescent, luminous, liquid of gorgeousness. It gives the loveliest glow to the skin and I'm loving it. This is actually a blush but it's too pale for me for a blush so it makes a lovely highlight. 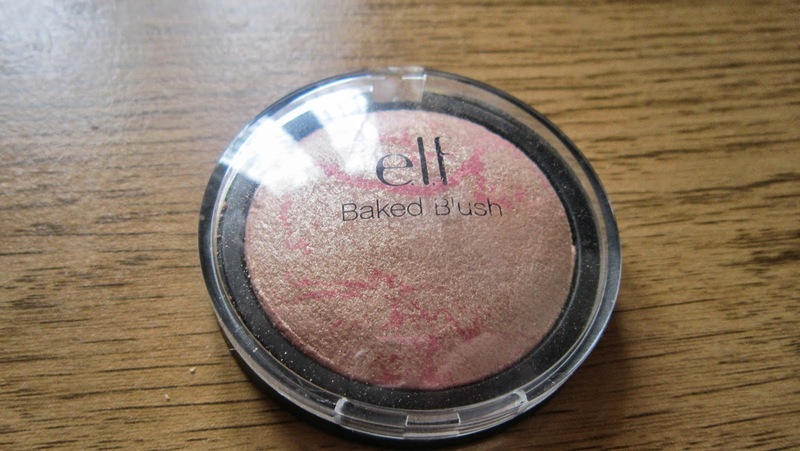 It's the Elf Baked blush in Pinktastic. I read somewhere that it was a dupe foir MAC MSF in Soft and Gentle so I had been wanting it for a while. It is the most lovely pinky-gold powder highlight with darker pink veining through it. It isn't glittery or chunky, it just gives a lovely sheen. 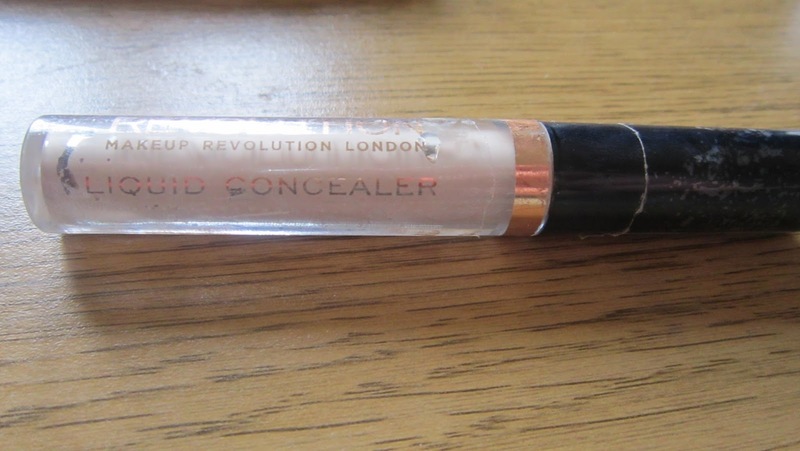 This is the Makeup Revolution liquid concealer in fair. This has a thick-ish consistancy which gives it really good overage but not so much that it cakes. I use it to cover blemishes and for my undereyes. It's only £1.50 so i'm loving it! So I have very fair brows and usually have to draw them on if I want a strong brow look. 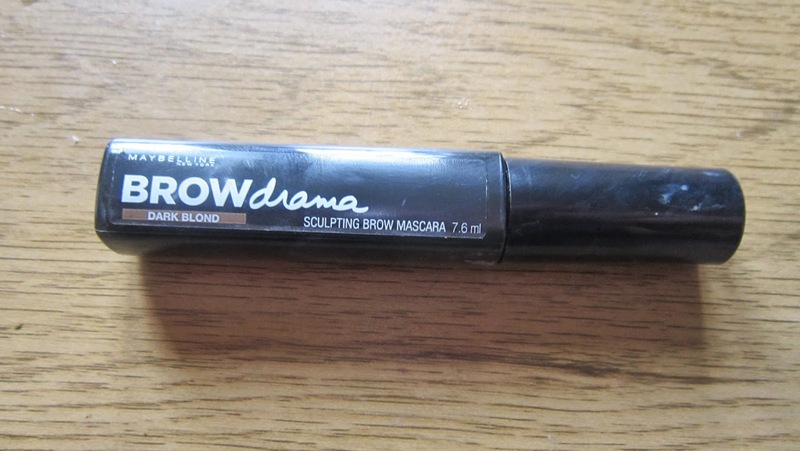 I stumbled upon this on the boots website and thought i'd try it as it looked like a dupe for the Anastasia Brow Gel. I use it over my pencil/powder I usually use on my brows but yesterday I also used it on it's own. It gave a little tint, good hold, didn't go crusty and looked very natural. It would be great for a day on the beach where you don't want heavy makeup. The next thing, I used to use this stuff years ago and I forgot all about it. I used it for years too but I moved onto gel liner and shadows as liner etc. I saw someone at work using it the other day and thought I would get some and I have now fallen Back in love with it. 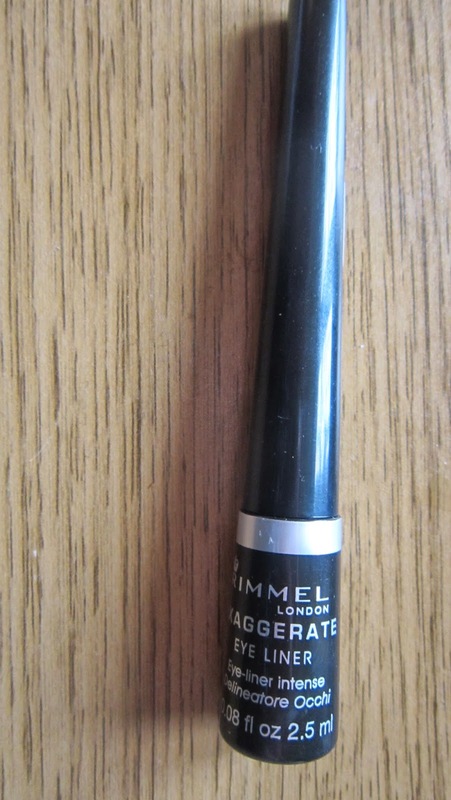 It's the Rimmel Exaggerate Liquid liner in 100% black. The applicator is a spongey smooth fine tip sturdy applicator which gives you complete control over the line you create and it stays on really well. So those are some of my beauty faves this month. I have added some more and some non beauty faves over on my youtube channel so click here if you want to see these and more! !